Oldsmobile Intrigue Forum specifically intended for Oldsmobile Intrigue based discussions. Status update: cooling system is fixed. I accidentally crimped a hose when my friend and I were replacing the spark plugs and got it flushed as well. My alternator is now starting to go (stalled on me again) or it could be the battery. I'll get this checked over the weekend. Close, but, no cigar. Edit 2: cap was loose, which shot up, causing the car to boil over and overheat. Cap is still there. Last edited by 01OldsIntrigueOwner; September 26th, 2018 at 05:08 PM. Alternator passed the test, as well as the battery. P1258 - Engine Coolant Overtemperature - Protection Mode Active (replaced the thermostat, flushed the cooling system, and fixed the crimped hose to allow flow to go through) <-- the engine temperature is nominal now (close to the half-way marker), no coolant boiling, and the heater works great. Last edited by 01OldsIntrigueOwner; September 30th, 2018 at 12:52 PM. Purchased a new EVAP Canister Purge Valve for my car from RockAuto.com since prices are scarce at auto part stores, and it's being sent right now. Once I get the part, I'm going to replace it, go to the mechanic on Friday night to get further diagnostics and code clearing, and see what happens. Doesn't stall on short 1-2 mile trips, but, longer trips are causing it. I'll report back with the results. Replaced the EVAP Canister Purge Valve yesterday, drove the car around and to Belle Tire to get my power steering fixed again, and it didn't stall. However, I'm losing coolant and I don't see any leaks at all (probably because the system wasn't burped/bled out when the cooling system got flushed out, or the cap needs to get replaced) and the compression is still good and the car still runs. Getting closer and closer to getting the car working once again, and the engine light didn't go away after disconnecting the battery (Overtemperature Protection Mode Active code). And the power steering leak could be either the reservoir (discontinued) or the pump. Got the engine codes cleared, and the reservoir is shot for the power steering (discontinued and the only spot that has that is the junkyard). Last edited by 01OldsIntrigueOwner; October 15th, 2018 at 02:27 PM. After much cursing and getting a cold, I replaced the power steering pump/reservoir combo on my car, accidentally put the pulley in backwards, and after getting the 3-jaw puller to borrow from Autozone, I got the pulley off, placed it in the right direction this time, compressed the pulley to meet the pump bearing, and all is well. Steering is a lot better, returned the core (old pump/reservoir combo, kept the cap) and the two loaner tools and got my money back. I'm planning on driving the car over the weekend on long trips to make sure it doesn't stall any longer. Code P0446 came back again when driving it around on Saturday. Time to replace the fuel filter or take it to the shop to get it looked at on Friday or Saturday next week. The fuel gauge is also erratic (says full, drops to empty, then back to full on a full tank of gas), the gas cap's gasket has cracks on it (will replace with a new cap), and the filter was replaced 6 years ago. The coolant was leaking and I discovered that the coolant line at the reservoir was not seated in correctly. When the time is right, I'm going to change the clamp with a new one that uses a screwdriver or socket wrench to loosen or tighten. Also, the resonator has holes in it and I bought some patch to wrap around the resonator (might have to buy another one) to fix the exhaust from leaking out, I replaced the fuel cap a couple of days ago, and the fuel filter still needs to be replaced (will do that with the resonator patching on Saturday). I ended up getting a new battery on Sunday since the old one went kaput after 4 years, more exhaust patch (haven't gotten the patch on the resonator yet on account of weather and other things), and wire brushes to clean the terminals. On Saturday, I took the old clamp off to replace it with a new one for the coolant reservoir and it's not dripping coolant anymore. No engine light yet and it didn't stall when I pushed it to the floor on the freeway. Darn fuel cap was the culprit, and I'm planning on checking the tank for holes and other stuff underneath to make sure the gas isn't leaking, replacing the fuel filter (it's been close to 7 years since it was changed last), and patching the resonator. Edit: the coolant is leaking at the reservoir for some reason and the car temperature went to the 3/4 marker. I'm planning on replacing the reservoir, sensor, and the line that goes to the thermostat. Last edited by 01OldsIntrigueOwner; January 3rd, 2019 at 08:12 PM. Update: the engine light came back on and the temperature is still rising when idling. Fortunately, on my car, it's by the filler neck and might not be easy to replace. The cooling system is still acting strange (temperature rises when idle at a stop sign or a red light, but goes back down when I hit the accelerator), but, it's not leaking or losing coolant since I added the appropriate coolant this time (the one I put in was straight Dex-cool instead of Dex-cool 50/50). Could a failing water pump cause the temperature to rise in the car's engine? I checked the oil dip stick and didn't see anything. I'll check the oil cap to make sure there isn't any milky goo on there, and there's no white smoke coming out of the exhaust, which is a good thing. Last edited by 01OldsIntrigueOwner; January 9th, 2019 at 11:46 AM. Fixed the issue with the cooling system and the suspect was the tank (return hose port on the tank had a crack). Fortunately, I found a new one at an O'reilly's Auto Parts store and slapped it in 6 days ago. All is left is to test and replace the Canister Vent Solenoid, Throttle sensor, IAC valve, fuel filter, fuel float sensor or pump; engine air filter, clean the throttle body with throttle body cleaner, and figure out why my ABS is intermittently going in and out (ABS/SVS/Trac Off) by cleaning all 4 ABS sensor harnesses and adding dielectric grease to the sockets to prevent corrosion, debris, oxidation, and other stuff from entering into the electrical sockets. The car had a couple of stalls, but still started without issues. Getting closer to my destination. Edit: pulleys are squealing and it sounds like I need to replace the power steering pump pulley, idler pulley, and belt tension pulley. Last edited by 01OldsIntrigueOwner; February 11th, 2019 at 01:17 PM. oldsmobileforums.com recognizes that "Oldsmobile", it's logos and various model names and numbers are registered trademarks of the General Motors Corporation. These terms are used for identification purposes only. 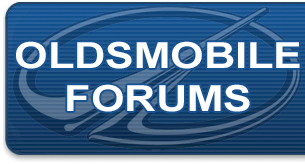 oldsmobileforums.com is not affiliated in any way with the General Motors Corporation, Oldsmobile or any other company listed herein. All information on this site is the opinion of its members and not the opinion of the site itself. ©2017 oldsmobileforums.com. All rights reserved. Miss that Olds 442? Believe it or not, Kia may have something for you. The Kia Stinger is a large sport-oriented hatchback sedan in the mold of the Audi A7.